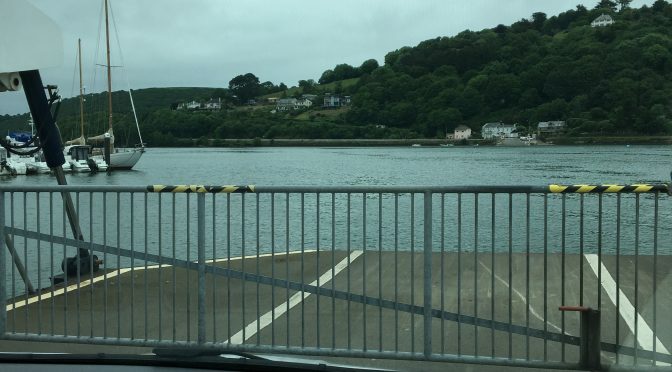 Rare trip across the river. These days I don’t cover the Dartmouth area, due to volume of work in my main catchment of Torbay, Totnes, Newton Abbot & Teignbridge. 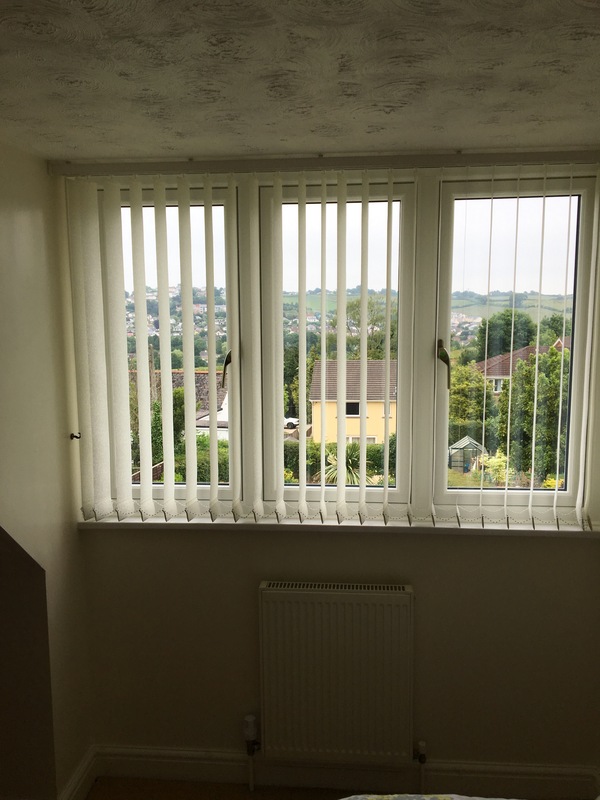 However, an old customer from Dartmouth had a problem with a Roller Blind I fitted. Basically the side control had malfunctioned after a couple of years. Although out of guarantee I happily fitted a new one for free. 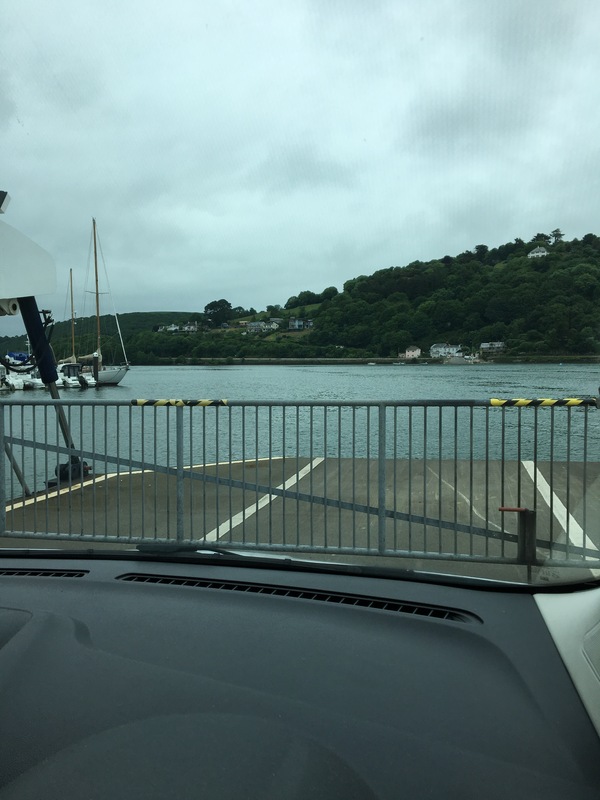 I also treated myself and the van to a trip over the upper ferry across the Dart. If you would like a quote, or just some advice, then give me a ring or fill out the form on this page for a call back. Wondering what to fit at the windows of your bay window. Verticals & Venetians are equally practical, but for a classy look why not go for Wooden Venetians as seen in this job in Babbacombe. Both the lounge and bedroom fitted with White Wood Venetians with 50mm slats, stunning! If you would like a quote for your bay window, or just some advice, give me a ring or fill out the form on this page for a call back. Bright verticals to another new kitchen. A lot of people seem to be knocking down walls and extending kitchen/diners these days. 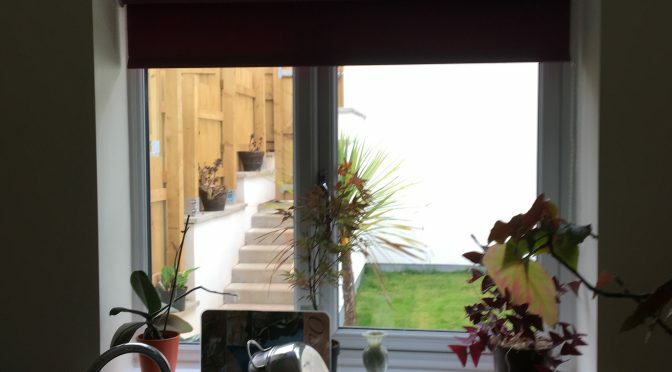 Here’s another one, in Paignton, with 2 bright red Vertical Blinds finishing off the job nicely. If you would like a quote, or just some advice, then give me a ring or fill out the form on this page for a call back. 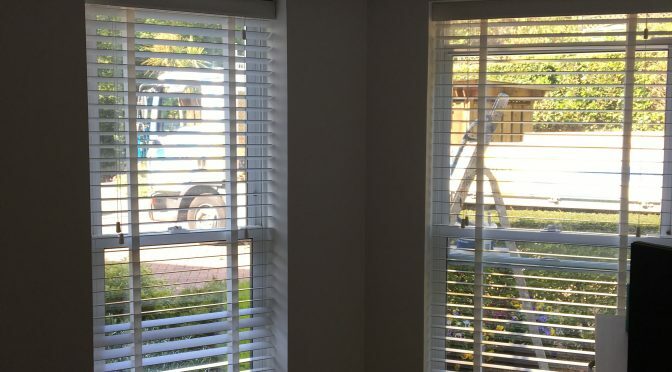 Blinds are normally the last thing on the list when refurbishing. 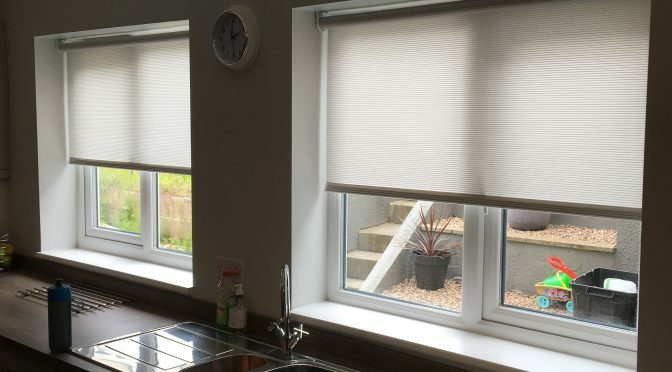 Here I fitted two lovely roller blinds to a beautiful new kitchen in Upper Brixham. 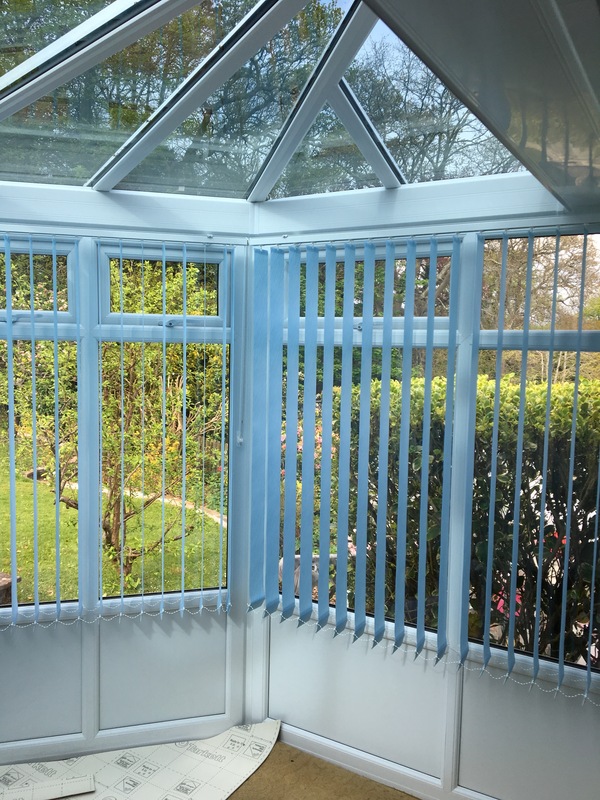 If you would like a quote, or just some advice, on the finishing touch touches to your project, then give me a ring or fill out the form on this page for a call back. 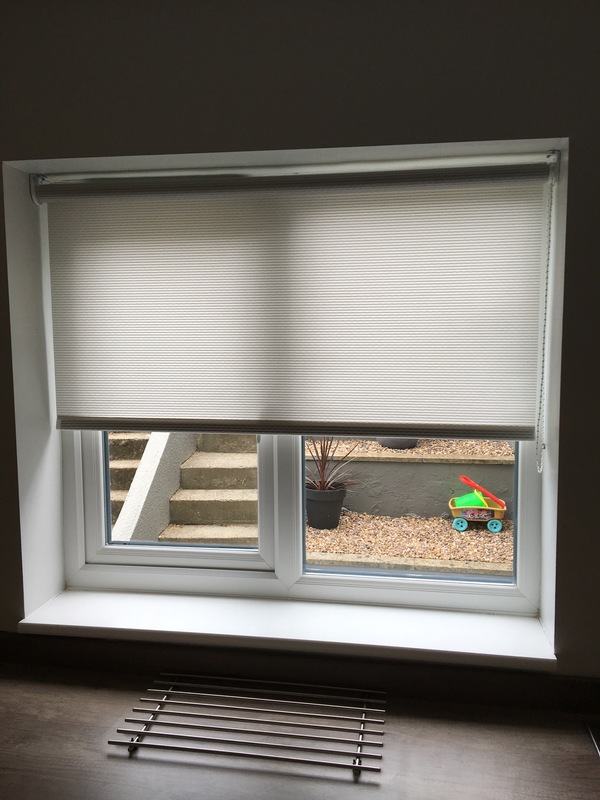 Dave Musgrove Blinds to the rescue! 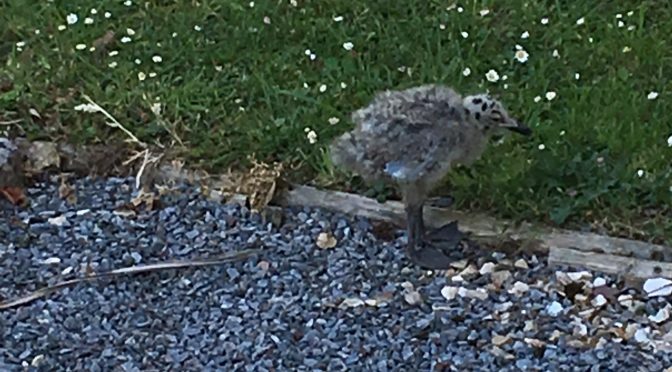 During the recent hot spell, 2 seagull chicks fell from next door’s roof. After a couple of days of being dive bombed by the parents I went to investigate. Unfortunately one of the chicks hadn’t survived, but one had. It did however appear to have a damaged wing. On calling the RSPCA I was advised to try and catch the chick and place in a box for collection, within 24 hours. Not easy, with the constant dive bombing, with claws out, but I managed it, with the help of my partner and a golf umbrella. The RSPCA duly collected the chick the following morning and after a couple of days the mother eventually went away. 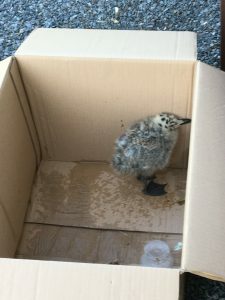 As a Torbay resident, not a great fan of seagulls, but it’s hard to leave a young helpless chick to suffer and possibly be taken by a cat or other animal. 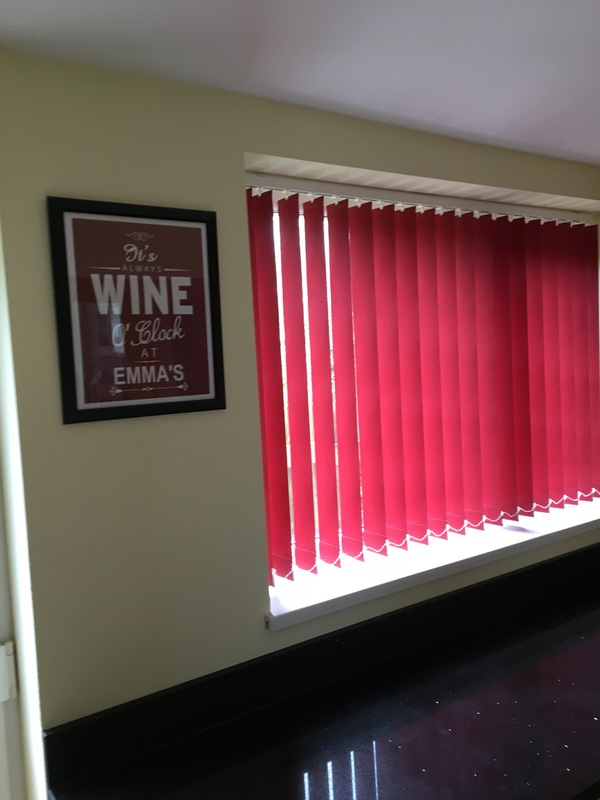 Meanwhile if you would like a quote or some advice on Blinds give me a ring or fill out the form on this page for a call back. 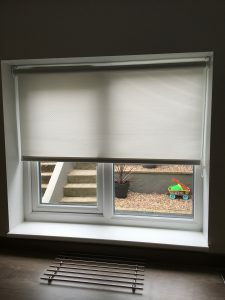 With new builds going up all around my catchment area, I’m getting many orders to fit Blinds to whole houses. 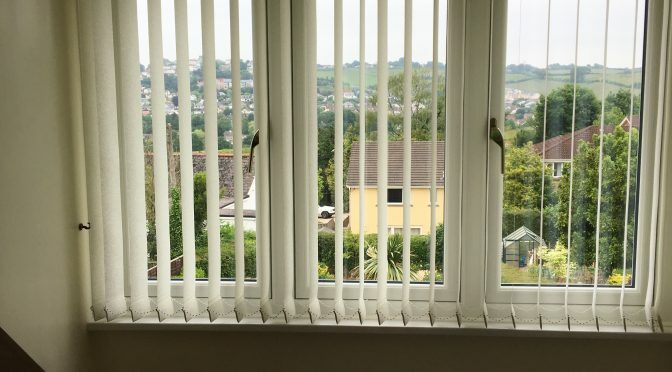 This recent one in Weavers Way, Dartington, consisted of 3 Roller Blinds, 2 Perfect Fit Pleated Blinds and several Vertical Blinds. 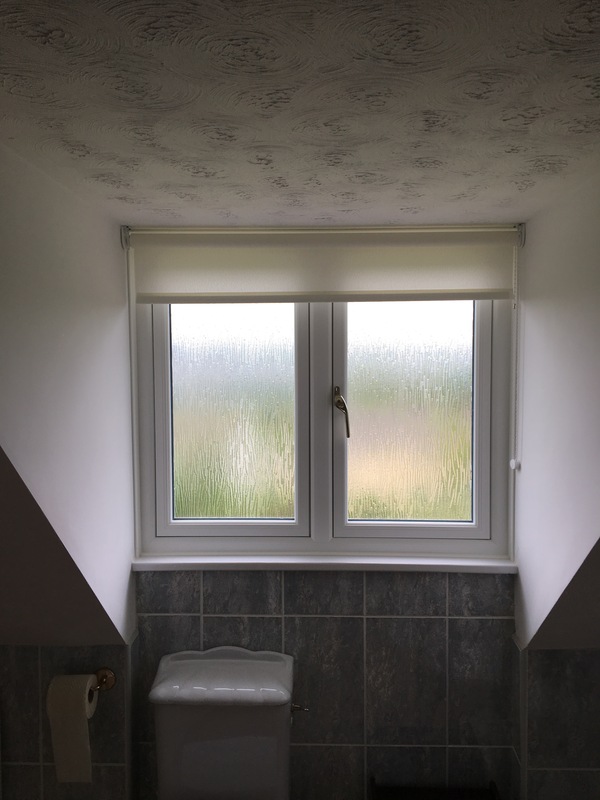 Result, a happy customer and a happy Blind fitter. If you would like a quote for your new house give me a ring or fill out the form on this page for a call back. 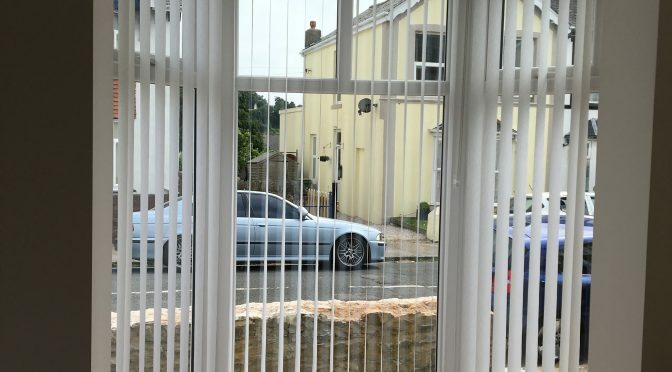 An old customer, in Kingskerswell, recently asked if I could take down the Roller and Vertical Blinds I fitted, a couple of years ago, so that new double glazing could be fitted. 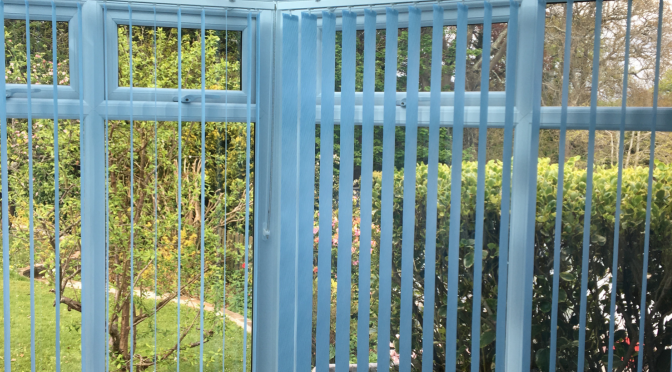 Not a problem and while arranging when to refit them I was asked to supply and fit several new Blinds to other parts of the property. 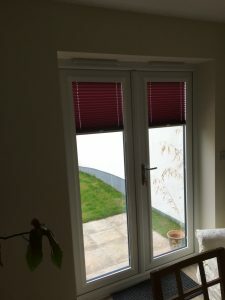 Having refitted the downstairs, all new Blinds were fitted upstairs with 2 of them in the pictures here. If you would like a quote, or just some advice, then give me a ring, or fill out the form on this page for a call back. Recently a customer bought an older house and then proceeded to completely gut it and start from scratch. 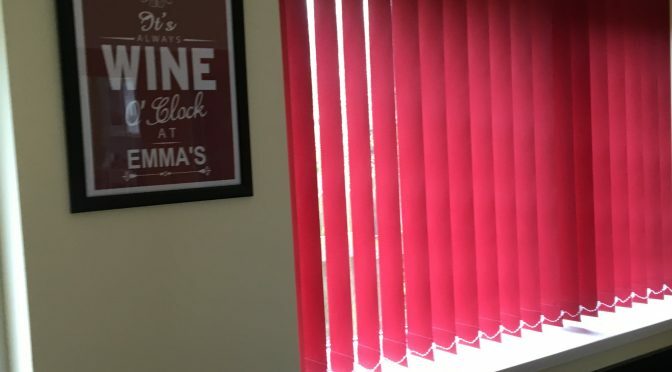 The final touch was the fitting of Vertical Blinds at every window. Blackout upstairs in the bedrooms and a patterned white everywhere else. Their new home is now ready to move into. If you would like a quote, or just some advice, then give me a ring, or fill out the form on this page for a call back. 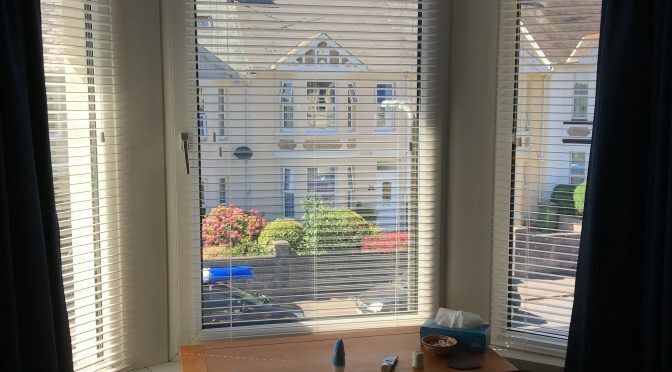 Fancy wooden shutters, but put off by the price or practicality? Wooden Venetians are a much more affordable alternative. Plus if you have them with ladder tapes they quite like shutters in appearance, particularly from outside. 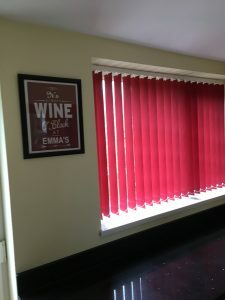 So, if you would like a quote for wooden venetians, or just some advice, then give me a ring or fill out the form on this page for a call back.